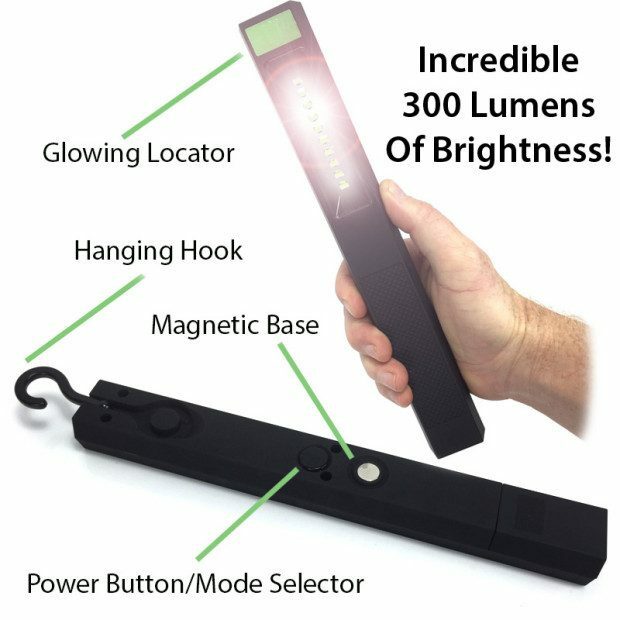 High Intensity Task Light With Glow In The Dark Finder Just $12.99! Ships FREE! You are here: Home / Great Deals / High Intensity Task Light With Glow In The Dark Finder Just $12.99! Ships FREE! Shed some serious light on your DIY tasks! Order the High Intensity Task Light With Glow In The Dark Finder for Just $12.99! Plus it ships FREE! This 10 high intensity LED Task Light puts out a massive 300 lumens and features the latest LED Chip On Board Technology! Perfect for helping you complete jobs in dimly lit areas or just flooding a large area with light!